We're about hip-deep into September. Lots of companies are coming out with their newsletters and new releases for the month. Wyrd certainly is on that list. 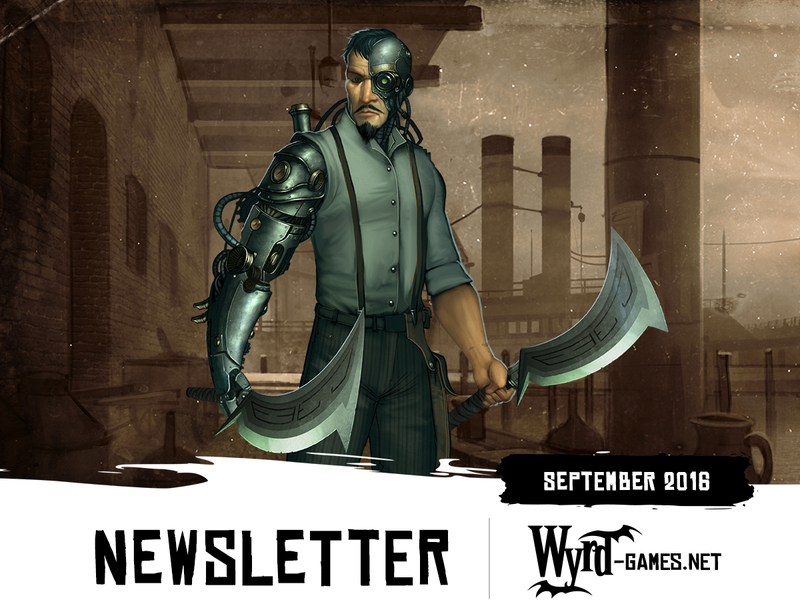 Their latest newsletter is out, letting you see what the releases for the next couple months are going to be, as well as letting you know about other things they've got going on. For new releases, they're showing off what they'll have not just for September, but also October. That way, you can save up your nickels to make sure you get your orders in right when they're released. They're also running a couple special giveaways for the month. One's a pretty simple like/comment/share over on Facebook and Twitter. That one can get you a special edition Titania figure. They're also looking for people to create videos about some aspect of Malifaux. Once submissions for those are in, they'll be posted online so people can vote. Check out the website for further details.